Although the Third Congressional District generally is considered to be a "safe" Democratic seat, a Republican who recently moved to Taos will announce Tuesday that he's challenging incumbent Dem Ben Ray Lujan next year. Rick Newton is a businessman whose career has included high-profile deep-sea recovery projects. According to his campaign website, Newton was involved in the recovery of a nuclear-powered Soviet submarine in the Pacific Ocean, the SS Central America, a steamship that sank in 1857 with an estimated $1 billion in gold, and other underseas projects. He also helped prepare Soviet nuclear threat assessments for the Strategic Arms Limitation Talks (SALT). Newton currently owns a small security technology company with patents applied for, his campaign manager Ken Scarborough of Taos said in an email today. Newton has been living in Albuquerque but recently signed a contract for a lease to purchase on a home in Taos, Scarborough said. He has owned other property in the Taos area, Scarborough said. According to his website and a campaign brochure, Newton not only advocates changing some existing laws, but also amending the U.S. Constitution. He says the 16th Amendment should be repealed to get rid of the IRS, and replace the personal income tax with a flat tax. He also wants to amend the Constitution to prohibit Islamic Shariah Law and "clarify" the separation of Church and State. Newton would insert language saying “No religion shall advocate the violation of any law found to be constitutional nor engage in any sedition to disobey any such law." Newton also favors changing the equal protection clause of 14th Amendment to apply on to U.S. citizens, not "any person" as the amendment reads. This is to prevent "anchor babies" -- children born of foreign parents in the U.S. automatically becoming citizens. In the last election, Lujan’s opponent Tom Mullins raised controversy when he joked in a radio interview about using land mines along the border to stop illegal immigration. Lujan is serving his second term in Congress. Newton will be his first challenger, Republican or Democrat, in the 2012 race. Labels: "Ben Ray Lujan", "Rick Newton"
I was following on Twitter last week’s confrontation between police and (Un)Occupy Albuquerque protesters when, shortly after midnight Wednesday, I got a first-hand report from Yale Park from my son, a student at The University of New Mexico. Even though some of the protesters had already been arrested, he was in good spirits. I think that he just wanted to let me know that he was there. And that he was safe. I remember making a similar call to my mother from UNM nearly 40 years ago. Except I was far more scared. This was back during the Vietnam War protests in 1972. I’d just seen a police officer open fire on a small group of protesters near Yale Park. My buddy Frank, who’d been right beside me, was hit in the arm with birdshot. I’d called my mom just to let her know I was OK — even though that shooting hadn’t been on the news — neither Frank nor the others who caught some birdshot were seriously injured — and she probably didn’t start worrying until I called. Last week’s Yale Park situation brought back a lot of memories of those freshman-year anti-war protests. President Nixon’s May 8, 1972, announcement that he was mining North Vietnamese harbors sparked protests on campuses all over the country. It would be the last of the great anti-Vietnam war protests in these parts. Compared with those 1972 protests, the police handling of the (Un)Occupy situation at UNM on Wednesday morning was downright friendly. That’s little comfort, of course, to anyone who experienced the bitter taste of teargas last week. But back in ’72, police helicopters dropped teargas on demonstrators — and bystanders — all over campus during a week of protests. Even worse, the day before my friend was shot, a reporter from the Daily Lobo was seriously injured when a police officer shot her in the chest and stomach. This was right after police used teargas to clear Interstate 25 near Central Avenue of protesters who were blocking the highway. (The reporter was hospitalized, but she lived.) This occurred on a street off Central while hundreds of students, including me, were fleeing. One big difference between then and now is that current UNM President David Schmidly is the one who ordered the clearing of “Coyote Camp” at Yale Park. Back in ’72, UNM’s president stood with the protesters. On the day after my friend was shot at Yale Park, Albuquerque police declared an 11 p.m. curfew and threatened to move in and arrest anyone who defied it. Naturally, hundreds, maybe thousands of protesters gathered at the UNM mall in defiance. The crowd probably was at least twice the size it would have been had that gauntlet not been thrown. I was almost certain that we would all be gassed, perhaps clubbed and probably arrested. But shortly before 11, university President Ferrel Heady, who initially had ordered the curfew, appeared and made an announcement: “If they’re going to arrest you, they’ll have to arrest me, too.” He was cheered and no police action occurred that night. Just about all the protesters left within the hour. I don’t think there was any way Schmidly would have stood with his students the way that Heady stood with us. But I can’t help but think how this week’s confrontation could have been avoided had Schmidly just extended (Un)Occupy’s permit for Yale Park and not created the deadline to leave, which, just like in 1972, served mainly to swell the crowd size. With the coming winter, the Yale Park campout — if not the Occupy movement itself — was bound to end soon anyway. Extending the permit could have saved some teargas, jail cell space, police overtime and a lot of hard feelings. For a description of the 1972 UNM demonstrations and Heady's role in managing the crisis click HERE and scroll down. 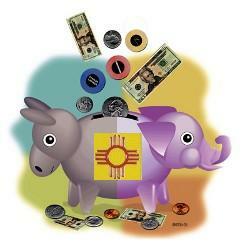 I finally ploughed through the most recent campaign finance reports of New Mexico's U.S Senate candidates. You can find that story HERE. Some have questioned where the generically-named Good Government Fund, the major contributor to Republican Heather Wilson, came from. It's a a joint fundraising committee associated with Texas Sen. Kay Bailey Hutchison's political-action committee, which raised money for Wilson and other Republican candidates. The Wilson campaign provided me with a copy of the GGF's most recent report. I've posted it below. My story points out that Democrat Martin Heinrich got a contribution from Gerald Cassidy, who was the focus of a book called So Damn Much Money, The Triumph of Lobbying and the Corrosion of American Government by Robert G. Kaiser. There's an interesting reading from that book by the author, which originally was broadcast on NPR. You can find that HERE. UPDATE 12: 49 pm I originally reported that state Rep. Zach Cook had contributed to Democrat Hector Balderas' campaign. The online version of The New Mexican story has been changed (as has this blog) to reflect the $300 contribution actually came from Angie Schneider-Cook, the representative's wife. She just told me she went to law school with Balderas. State Rep. Brian Egolf, D-Santa Fe is asking University of New Mexico President David Schmidly to hold off on clearing UNM's campus in Albuquerque. The university announced a day ago that the school wouldn't renew (Un)Occuppy Albuquerque's permit, citing safety concerns. The school ordered protesters to leave Yale Park by 10 p.m. I realize that the presence of the protestors poses serious issues for campus management and securiry, but there are important and compelling First Amendment issues involved that bear serious consideration by you and your staff. As you know, the University occupies a special place in Albuquerque - both literally and figuratively. By forcing the protestors out, you are preventing them from making their views known to a large audience. I also believe that the University - as both a state-funded institution and as a place where debate and the exchange of ideas are encouraged - has a special role to play in the ongoing protests. Egolf was the only legislator I saw at the Occupy Santa Fe event I covered on Saturday. This brings back personal memories of my first campus protest nearly 40 years ago at UNM, the last great anti-Vietnam war protest in these parts. 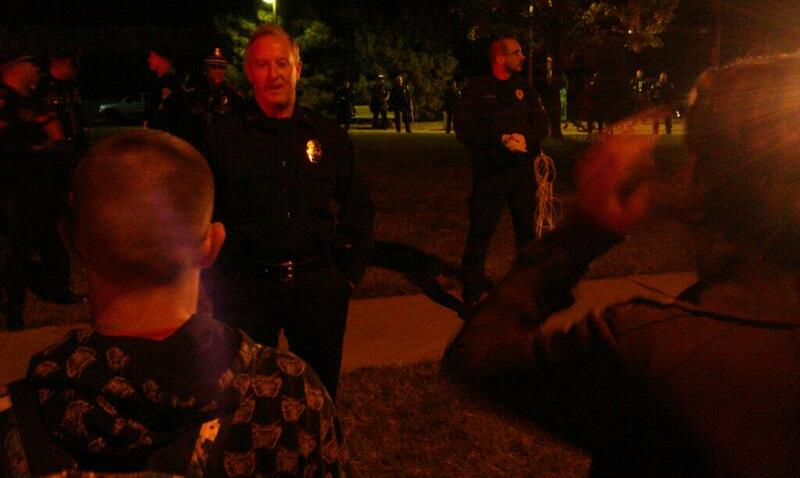 Albuquerque Police had declared a midnight curfew and threatened to move in and arrest anyone who defied it. This was 1972, so thousands of protesters gathered at the UNM to defy it. But shortly before midnight, UNM President Ferrel Heady appeared and told us, "If they're going to arrest you, they'll have to arrest me too." Here's a copy of the letter Egolf sent to the current UNM president. A wise editor recently pointed out that political endorsements don’t really mean anything. Few if any voters, he said, actually vote for any politician because some other politician endorsed him. That’s true. But like any political junkie, I find it fascinating to check out the ducks that candidates try to get in a row. For months, the candidates for U.S. Senate in both parties have been flooding reporters’ email inboxes with endorsement announcements. This especially is true for Republican Heather Wilson, who started out her latest campaign with a long list of endorsements from various past and present Republican leaders. Conventional wisdom is that Wilson is employing the bandwagon effect, making it look like everyone is on board, so you should be, too. But I wonder, in the case of the state senators, whether there’s a little psychological warfare going on here. When her main opponent, Lt. Gov. John Sanchez, is presiding over the state Senate, he has to look out at a crowd of Democrats and Republicans supporting his opponent. Casting his spell: Like failed Delaware Republican Senate candidate Christine O’Donnell, Gary Johnson is not a witch. But he did take the time last week to talk to a group of Pagan journalists at an online Google+ “Hangout” for nearly an hour and a half in his long-shot presidential bid. That’s right, while some of his GOP rivals at Tuesday night’s CNN debate talked about tolerating Mormons, Johnson was talking politics with the Wiccans — and one Hindu who joined in the questioning. 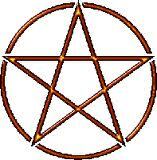 This group seemed to be concerned about the same kinds of things non-Pagan Americans are worried about. 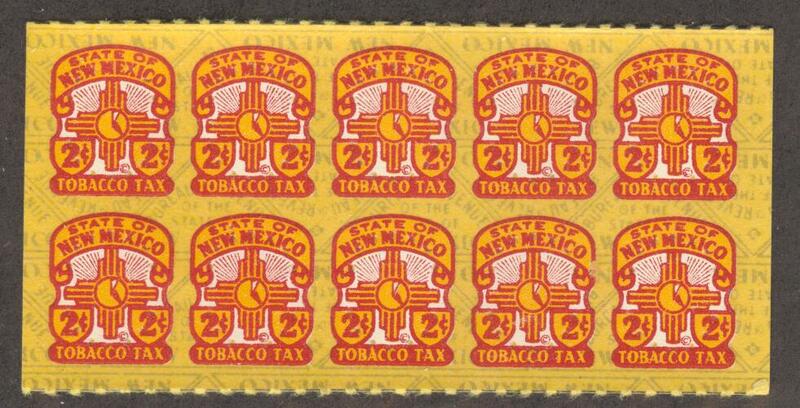 Among the topics they had in mind for the former New Mexico governor were witchy, spooky, exotic topics such as taxes, campaign-finance reporting, Social Security, education funding, gay rights and corporate influence in government. The video interview is available HERE . Keeping Occupied: Johnson also dropped in last week on another constituency that’s not traditionally Republican — the Occupy Wall Street demonstration. Johnson said he doesn’t agree with all the points of all the protesters. “I, for one, believe everyone deserves to be heard, whether I agree with them or not. In that sense, it is a mistake to dismiss these protests, and I wanted to at least take the time to see what they are about,” he said in a news release Wednesday. I did a story about Independent Source PAC's radio ad campaign which lambaste Gov. Susana Martinez's administration on three separate issues. ISP is a liberal political action committee headed by Michael Corwin, an Albuquerque private detective who frequently works opposition research for various Democratic candidates. The ads deal with three cases ISP calls conflicts of interest in the administration: Chief of Staff Keith Gardner's wife getting hired at the Public Education Department; State Personnel Board Chairman Paul Yarborough being vice president of an Albuquerque law firm that has state contracts amounting to more than $500,000; and Patty Matthews, the PED's charter-school czar coming from a lawfirm that represents charter schools. The Governor's Office declined comment except to say the ads "appear to be backed by a shadow group intent on opposing education reform and defending the status quo in New Mexico's education system, which has failed to adequately prepare our kids to read and learn." 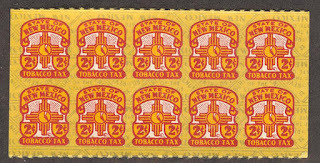 In today's New Mexican I wrote about two cases of Indian leaders who have gotten into trouble for having businesses that sold cigarettes without the required state tax stamps. The first case is that of Paul Rainbird, former lieutenant governor of San Ildefonso Pueblo and head of the Southwest Association for Indian Affairs (which sponsors Santa Fe Indian Market) . He was sentenced to prison last week for his Internet smoke business. 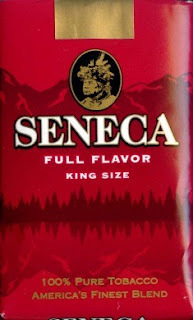 The other case is current secretary of the state Indian Affairs Department, Arthur Allison, whose store near Farmington, at least earlier this year, was selling cigarette without tax stamps as well as a brand of cigarettes, Seneca, which isn't on the state list of approved brands. Attorney General Gary King wrote to Gov. Susana Martinez about this in May (that letter is HERE) but the Associated Press was able to buy the forbidden cigarettes in Allison's store in June. Martinez's spokesman Scott Darnell said yesterday that since then, Allison has transferred ownership of the store to his son, who had been running the store for more than a year. I'd asked the Attorney General's Office about the status of its investigation into Allison's store. Spokesman Phil Sisneros told me this morning. He said the office "is now focusing our efforts on the manufacturers of the cigarettes." They want the Seneca manufacturers to pay escrowmoney that was in question. 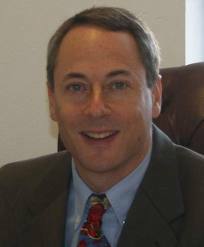 Heath Haussamen has the whole story about Las Cruces Judge Mike Murphy HERE. Basically Judge Leslie Smith, who is overseeing the case against Murphy, now says he was misled by Murphy's lawyer. Murphy is accused of soliciting bribes from a prospective judge, allegedly to be paid to then Gov. Bill Richardson for a judicial appointment. An affidavit released by special prosecutor Matt Chandler indicated that the practice of paying for judicial appointments was common in the state. Richardson as well as Murphy have denied wrongdoing. Whoever is in charge of the Public Regulation Commission's website had a novel way of dealing with the Jerome Block vacancy. Just cover the District 3 spot with the state flag. We don't know yet who's behind the flag. Gov. Susana Martinez and her staff have the unenviable task of going through 88 applications. Happy Monday to ya. Ready to start the work week. In case you missed my story in yesterday's New Mexican about the money race in the Public Regulation Commission race, you can find that HERE. Actually there's not much of a race. All but one of the small army of Democratic candidates say they will or probably will use public financing, which means, assuming they qualify, they each will be receiving checks for $39,000 and change. The only one who has said he won't use public financing is Danny Maki, who apparently is using his dad Butch Maki's contacts to build a good-size campaign war chest. And because of a U.S. Supreme Court decision striking down part of Arizona's public financing law, if Maki (or any other candidate not using public financing) gets contributions beyond that $39,000, chances are the other candidates won't be getting marching funds from the state. However, the fact that some Washington, D.C. telecommunications lobbyists among Maki's biggest contributors could become a sore point in the campaign, as the PRC is responsible for regulating the telecommunications industry. I’m going to do something I rarely do. I’m going to say “thank you” to the state Legislature. I’m not talking about the recent special session. My thanks are for our lawmakers passing a bill a couple of years ago that requires candidates for state office to report their donations more frequently. In the bad old days, our beloved politicians only had to file one report during a non-election year. Now it’s twice a year. And the recent filings have yielded interesting stories. My colleague Trip Jennings reported about Attorney General Gary King accepting a $15,000 contribution from some New York law firm — which everybody except Attorney General Gary King seems to think is a clear violation of the new law establishing campaign contributions limits. Then there’s the story about Gov. Susana Martinez, who, between her re-election committee and her political action committee, raked in more than $82,000 during the recent special session and the bill-signing period after it. The catch here is that the law prohibits a governor from soliciting contributions during that period but doesn’t say anything about accepting money during that time. There’s no evidence that Martinez actually solicited any money during the session — except a “Donate” button on her SusanaPAC website, which was promptly removed when the Albuquerque Journal pointed it out in late September. 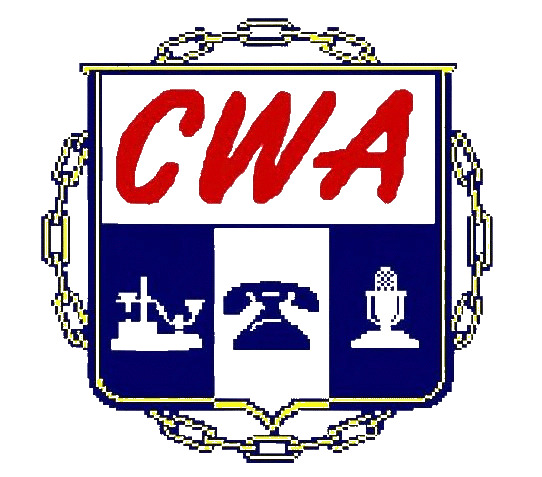 The governor’s PACmen said only two small donations came over the website during the prohibited time and said both weren’t accepted. What’s amazing to me though is that three years before the 2014 gubernatorial election, Martinez’s re-election campaign was able to bring in more than $66,000 without even asking for it. There might be campaign contribution limits in place now, but you can bet that 2014 is going to be another expensive campaign year. Sonoma Susana: Another story to emerge from the campaign finance reports is the one about Martinez’s campaign funds paying thousands of dollars for a luxury resort in California wine country where Martinez gave a speech at a Republican National Committee dinner. I haven’t verified all those fancy accommodations. But I looked at the Fairmont website and the joint does look fancier than a Motel 6. There’s no proof Martinez partook in all these luxuries. But you can’t blame her if she went to a cooking class or two. After all, Martinez fired the Governor’s Mansion chefs and even though she said she liked her husband Chuck Franco’s baloney sandwiches, chances are she’s sick of them by now. Martinez isn’t the only politician who has used campaign funds to pay for out-of-state travel. Bill Richardson did it all the time. And I don’t think he ever stayed at an Econo Lodge. Still, it’s funny how all the campaign ads you’ll ever see in New Mexico show the candidate talking to cowboys and construction workers and reading to school children. They never show the candidate sipping wine at luxury resorts. Bill Richardson supports Susana! Here’s another tidbit from the campaign finance reports. On May 12, Bill Richardson gave $5,000 to SusanaPac. On the same day, two other “business owners” named Richardson from Jackson, Tenn., (James and Joe) also gave $5,000 apiece. 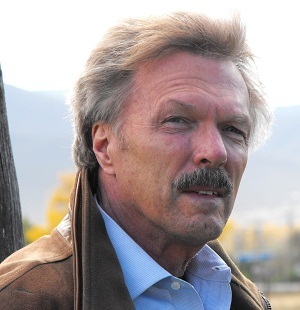 In his longshot bid for the presidency, former New Mexico Gov. Gary Johnson reported raising more than $236,000 during the past three months. However, according to his campaign finance report filed Friday with the Federal Election Commission, the former governor reported that he has less than $11,000 cash on hand. But that’s just a fraction of what other Republican contenders have in the bank. 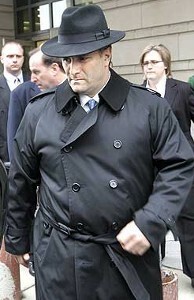 Politico on Friday reported that former Massachusetts Gov. Mitt Romney is reporting $14.7 million cash on hand, while Texas Gov. Rick Perry has about $15 million in his warchest. Johnson’s campaign reports debts of more than $240,000. Among Johnson’s contributors are names familiar in New Mexico Republican politics. Former state GOP chairman Harvey Yates contributed $2,500. Ray Westall, an oilman from Loco Hills who was appointed to the state Game Commission by Johnson gave $2,500, as did his wife Karen Westall. Johnson’s former press secretary Diane Kinderwater contributed $2,000. Democrat Martin Heinrich and Republican Heather Wilson are looking more like frontrunners in the U.S. Senate primaries with the release of their latest fundraising figures. According emails and news released from the campaigns, Heinrich, currently a Congressman representing Albuquerque, raised more than $650,000 in the third quarter of the year. That’s better than twice that raised by his primary opponent, State Auditor Hector Balderas, who reported raising $250,000. Heinrich’s campaign says he has more than $1.1 million cash on hand. Balderas has $465,000, a campaign spokeswomen said. In the GOP primary, Wilson, who held the Albuquerque Congressional seat before Heinrich, raised $530,000 between July and the end of September. She has nearly $1 million cash on hand, her campaign reported. Wilson’s main opponent John Sanchez’s campaign just reported that Sanchez took in $164,000 in the last quarter, leaving him nearly $250,000 cash in hand. I also haven’t heard yet from long-shot Republican candidate Greg Sowards, but Hotline this week reported that Sowards had raised more $231,000 in the third quarter, of which $185,000 was a loan from himself. Sowards, Hotline said, will report more than $496,000 in the bank. The eventual winner of the Senate race will replace longtime Sen. Jeff Bingaman, a Democrat, who is retiring. UPDATE: 405 p.m. The John Sanchez campaign emailed his figures right when I was writing this blog post. The post has been updated to reflect those figures. A mayor in Florida has a novel new excuse not to talk to reporters: He considers us lobbyists! According to the Sun Sentinel, Lauderdale Hill Mayor Richard Kaplan says that under a new ethics law, reporters should be considered "lobbyists," so he won't talk to any of them unless they register as such. "Under the Law of Unintended Consequences, it appears that your newspaper, the Sun-Sentinel, is not only a contractor but may be considered a lobbyist, as well as its editors and the reporters. Therefore, until this is clarified, I will be needing all reporters and others from the paper who contact me for information to file whatever is required as a lobbyist to the City of Lauderhill before I can communicate further." "Though reporters do not necessarily consider what they do is lobbying, their work is provided to the editors who use their research to write editorials. Editors do try to influence the final decision making indirectly (which is communication by an means) which is lobbying according to the new law as I see it." But the mayor said, "Reporters can come to meetings and write about what happens there. There is an exception to that, but that is about it as far as I can see." Fortunately I don't think the Law of Unintended Consequences ever made it out of committee with the New Mexico Legislature. I just hope the politicians around here don't pick up on this idea and declare us newsdogs lobbyists. Next thing you know, legislators will be expecting us to buy them dinner. The quick take: He failed a drug test. I did a little round-up in today's New Mexican of where New Mexico's major political scandals are standing at the moment. These included the criminal cases against former Secretary of State Rebecca Vigil-Giron, former Region 3 Housing Director Vincent "Smiley" Gallegos, the now-dismissed indictment of Judge Mike Murphy and the State Investment Council civil suits. You can find that story HERE. In the original version of the story I failed to note that the two cases filed in May by the State Investment Council have been boiled down to one case, which is in the state court system. Below is the amended complaint filed in June, which explains the allegations against Gary Bland, Guy Riordan, etc. Here's a Sunday morning paradox for you. Could having less of a choice lead to a better choice for Public Regulation Commission? Commissioner Jason Marks thinks so. While he agrees with Think New Mexico's basic premise that the scandal-scarred commission is in need of a drastic overhaul including the proposal to require higher standards for commissioners elected to the $90,000 job, Marks said the think tank didn't go far enough in this area. Think New Mexico's most recent report — published within days of Commissioner Jerome Block Jr.'s pleading guilty to a number of felonies and agreeing to resign from the regulatory commission — recommends that commissioners be required to have a college degree and/or at least five years experience in law, engineering, economics or accounting. This, according to the argument, would cut down on the number of crooks and clowns (my words, not Think New Mexico's) who seem drawn toward the agency. But Marks, an Albuquerque Democrat serving his second term on the commission, wants to add another step he says would held cut down on unqualified candidates — making candidates for the commission go through the pre-primary convention process, just as candidates for governor, Congress and other offices have to do. Here's how that works for candidates of the two major parties: Those who get support from at least 20 percent of the delegates at their respective pre-primary conventions would automatically get a spot on the June primary ballot. Those who fall short of the 20 percent mark would have to gather additional petition signatures to get on the primary ballot. Marks said last week that this would cut down on the number of candidates in a primary. Part of the problem, he said is that crowded primaries mean that it takes only a tiny plurality to win. And often, in districts dominated by one party, the winner of the primary is virtually assured to win the seat. That was the case with Block in 2008 who came out on top in a six-person primary. Block received less than 23 percent of the vote in the Democratic primary. No Republican ran for the position, so Block's only opposition in the general election was last-minute Green Party candidate Rick Lass. 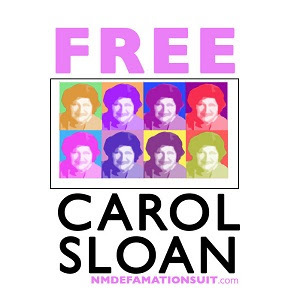 Similarly, Carol Sloan — the other commissioner forced out because of a felony conviction in the past couple of years — won a five-person 2006 Democratic primary in PRC District 4. She won the primary with less than 30 percent. Like Block, her only general election opposition was a Green Party candidate. Of course that's nothing compared to some of the old Santa Fe mayoral races. There were 12 candidates in 1994, only a few of which had ever held any public office before. There even was a lady who claimed to channel the ghost of late artist Tommy Macaione. Since then the city has made it harder to get on the ballot. Marks admits that some people will complain that requiring commission candidates to go through the pre-primary conventions would give more power to "party insiders." And pre-primary conventions don't always guarantee smaller primary ballots. Take last year's Republican governor field. Only Susana Martinez and Allen Weh had enough convention support to get an automatic place on the primary ballot. But all three challengers who fell short scurried and found enough petition signatures to make it onto the ballot. Nearly the same thing happened with the Dems' lieutenant governor race. Three candidates qualified at the convention, but the two who lost there made it to the primary ballot. But if having nearly 90 people applying for Block's vacant seat is any indication of how many candidates might be in next year's commission race, some kind of serious winnowing process is in order. As expected, Gov. Susana Martinez vetoed the three major redistricting maps to come out of the special session. She couldn't veto a Congressional map because none cleared the Legislature. It's onto the courts now. – Today, Governor Susana Martinez vetoed legislation that would re-draw district lines for the New Mexico Senate, the New Mexico House of Representatives, and the Public Regulation Commission – as well as a stand-alone bill that would have split a single Bernalillo County precinct. Earlier this week, the Governor signed the redistricting map for the Public Education Commission, citing the bipartisan compromise and broad support that the plan received. The legislature failed to pass a redistricting plan for the U.S. House of Representatives. Governor Martinez issued veto messages for each bill, outlining some of the specific problems that call into question the fairness, appropriateness, and even constitutionality of the measures that were sent to her desk. For example, with respect to the House of Representatives redistricting plan, the legislature’s own demographer admitted that the plan intentionally over-populates districts in Albuquerque, while under-populating certain rural areas. He explained that keeping rural districts on the lower end of the population deviation allows you to preserve the number of districts in those regions. Democrats used this strategy to avoid moving a Democratic district in north central New Mexico, which has not kept pace with state-wide population growth, to the Westside of Albuquerque and Rio Rancho, areas that have experienced explosive growth. This manipulation of population deviations is a tactic that has been found to be unconstitutional by the United States Supreme Court. Such a plan does not demonstrate appropriate regard for the “one person, one vote” principle, as it dilutes the voting strength and representation of a significant number of New Mexicans, and in some cases, leaves high-growth areas over-populated, which will guarantee the increased dilution of representation in those areas for years to come. In both chambers, the House plan had bipartisan opposition. The Senate plan suffers from similar flaws. When the sponsor of the Democrats’ Senate redistricting map presented the plan in the Senate Judiciary Committee, she was asked directly if the proposal was fair, balanced, bipartisan, and reflected an attempt to compromise. Her response was, “I would prefer not to answer that” - a strong indication of the Democratic majority’s effort to pass a partisan map that reduced political competition and rejected any attempts to compromise. Moreover, in packing population into Republican districts and under-populating Democratic districts, the map not only allows for the creation of more Democratic districts, but the population disparity also ensures that the votes of some New Mexicans will count more than others, depending upon where they happen to live. The Democrats’ redistricting plan for the Public Regulation Commission was another example of a partisan plan that does not fairly address changes in population over the last decade. Despite the fact that the central goal of the redistricting process is to provide for equal representation by creating districts of nearly equal population, the PRC map creates a district that has 35,000 more residents than another district. In a plan with only five districts, there is no justification for such extreme population deviations. SB 41 would have split a precinct, providing for the separation of the Mesa del Sol area from Isleta Pueblo. The legislation represents an unjustified end-run around the Precinct Boundary Adjustment Act, an existing law which provides a mechanism for the secretary of state, boards of county commissioners, and county clerks to adjust precinct boundaries as necessary. Moreover, it is an example of politicians attempting to pick and choose their voters rather than allowing voters to choose their representatives and senators. In this case, the rationale for splitting the precinct even relied on projections about growth in the precinct – not actual growth. Jerome Block, Jr., as required by his plea agreement, has formally submitted his letter of resignation from the Public Regulation Commission. It's effective Friday at 3 p.m.
Another little update I was working on when this news broke: This morning I joked on Twitter and Facebook, "I had a terrible nightmare last night: Gov's office found a stash of 63 more applications for PRC position. Woke up screaming." That was a reference to my story about the 87 people who applied for Block's job. Sometimes nightmares do come true. Just a little in this case though. I was informed by Gov. Martinez's office that indeed there was an 88th resume that somehow had been left out of all the documents they gave me yesterday. It's Ivie Vigil, who works as administrative manager of the city of Santa Fe's Recreation Services Division. Don't worry, lawyers, it's not the redistricting bills she's vowed to veto. But Gov. Susana Martinez did sign the absolutely uncontroversial Public Education Commission redistricting bill. She cited that as an example of "the kind of bipartisanship that should characterize a task as important to New Mexicans as redistricting." Of course, the PEC has very little real power. 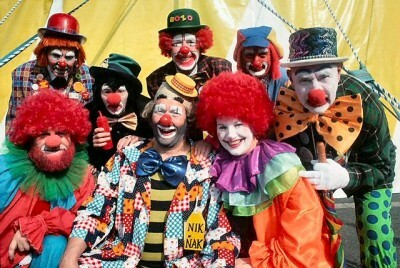 They advise the Public Education Department and approve charter schools. Earlier today, as expected, she signed the in-state preference bill which closes a loophole that allowed out-of-state companies to receive a preference reserved for New Mexico businesses bidding on state contracts. The bill will require businesses to be housed in the state and employ New Mexico workers to be eligible for a five percent advantage when contracting with the state and local governments. Martinez had vetoed a similar that came out of the regular session, saying there was a drafting error. She had promised to sign a corrected bill. We've all read those depressing stories about job fairs where thousands of people line up in hopes of filling perhaps dozens of positions available. A similar phenomenon seems to be taking place here at the Roundhouse, where there's one $90,000 job soon to be available. Dozens of applicants are sending their resumes to Gov. Susana Martinez in hopes of being tapped to fill disgraced PRC member Jerome Block's position. 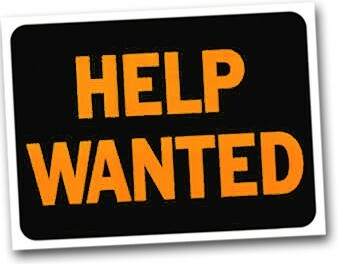 As of late yesterday afternoon the governor's office was saying there were more than 50 resumes submitted. I know of at least a couple of more that have come in today. Among those seeking the job are at least two Democrats who previously had announced they would run next year -- Santa Fe County Clerk Valerie Espinoza and former aide to Congressman Ben Ray Lujan, Danny Maki. 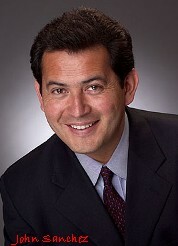 Others include former Espanola Mayor Joe Maestas, who lost to Block in the 2008 Democratic primary; Rick Lass, who lost to Block in the 2008 general election; former Santa Fe City Manager Asenath Kepler; former legislators Judy Vanderstar and Barbara Casey-Perea; former Santa Fe City Councilor Molly Whitted and former legislative hopeful Brigette Russell. Keep in mind, this is only a temporary job -- completing Block's term, which expires at the end of next year. Those wishing to stay on must win election next year. The deadline for submitting applications is at 5 p.m. today. I hope to run the complete list in tomorrow's New Mexican. UPDATE 4 pm: Santa Fe County Commissioner Virginia Vigil, who has said she will run in next year's Democratic primary for PRC, also has delivered her resume to the governor's office. As of late Friday afternoon admitted felon Jerome Block Jr. still hasn't resigned from the Public Regulation Commission. Smart money says he'll wait until the 10th day, which is at the end of this week. Over the weekend I published a story about 17 people applying for Block's soon-to-be-vacant job. Whoever does get the appointment from Gov. Susana Martinez would have to seek re-election next year to stay on the commission. 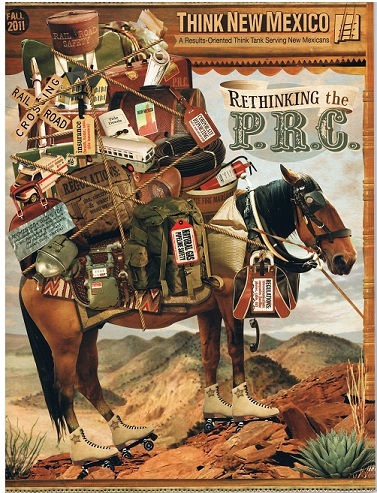 Also, on Sunday I wrote about Think New Mexico's proposal to overhaul the PRC as we know it. My story is HERE. One proposal that seems to have popular backing is one that would increase the qualifications of commissioners. Under the plan, which would require a constitutional amendment, commissioners would have to have an actual college degree or five years experience in law, accounting, economics or engineering. However, another story I wrote just last week shows that even higher qualifications might not root out all the scandals. Roundhouse Roundup: Did State Layoffs Target Union Leaders? Note: As announced last week, my political column has moved to Sundays. Below is my fiorst Sunday column. 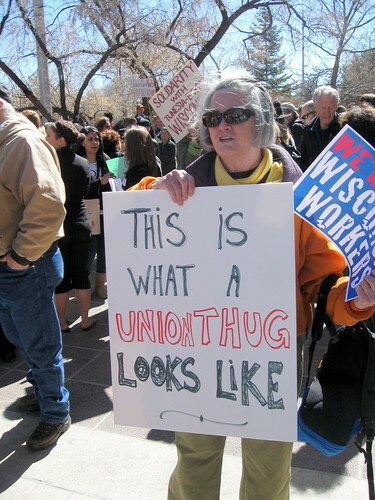 Are labor union leaders being targeted in recent state government layoffs? The governor's office says no. But two high-ranking union leaders who have lost their state jobs in recent weeks believe their union activity is the cause. First there was Michelle Lewis, one of 33 Public Education Department employees who were RIFed (that's bureacratspeak for "Reduction in Force") in June. 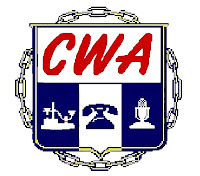 She is president of the Communications Workers of America Local 7076, which represents some state employees and includes workers in both the public and private sectors. Then, last Monday, Maxine Velasquez learned she was one of 16 workers laid off at Expo New Mexico, the agency that operates the state fair. 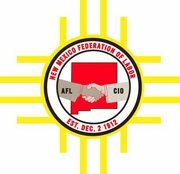 Velasquez also is secretary-treasurer of the New Mexico Federation of Labor, AFL-CIO, which makes her the highest-ranking state employee in that organization. She's on the executive board of her American Federation of State, County and Municipal Employees local. She was labor liaison for Democrat Diane Denish's unsuccessful campaign for governor last year. Early this year, the administration said no layoffs would be necessary. Beginning in June, however, the State Personnel Board, responding to requests from various Cabinet secretaries, eliminated 47 jobs. Besides the Public Education Department and Expo New Mexico, departments hit include Tourism (where New Mexico Magazine lost seven of 17 employees), Economic Development, and Regulation and Licensing. In each case, budget problems were cited for the layoffs. Lewis, a former teacher, told me last week that she helped the union organize the Public Education Department in 2003, when the state resumed allowing collective bargaining. She also said that earlier this year as union president she publicly opposed all the bills that Education Secretary Hanna Skandera was pushing during the regular legislative session. Lewis was an education technology coordinator in the Public Education Department. About two weeks after her last paycheck from that job, Lewis was offered a new position. She accepted, even though she now makes about $1,200 less a month. She now scans and indexes documents in the department's Professional Licensure Bureau. More than half of the state workers laid off in June have been rehired, state personnel officials say. But union officials say that nearly all of those rehired go to lower-paying jobs. The State Personnel Board approved the layoffs at Expo New Mexico nearly two weeks ago. But nobody was told who was getting the boot until Monday. Velasquez, who has worked at Expo for six years, was classified as a "business operations specialist." She was in charge of the State Fair Queen contest as well as the McDonald's Farm exhibit at the fair. She told me she's been active in unions for 40 years. One reason she thinks she was targeted is that a less-experienced worker with the same job and comparable pay was spared in the RIF. Shortly after the Public Education Department layoffs in June, the Associated Press quoted Scott Darnell, spokesman for Gov. Susana Martinez, as saying the decision to can Lewis had nothing to do with her union position. "The few departments involved in this restructuring simply looked at increasing the efficiency of their bureaucracy and cutting spending that had grown too quickly," he said. Darnell said the same thing on Thursday. "... there is certainly no targeting," he said in an email. Union employees make up about 65 percent of the Public Education Department, he said, but collective-bargaining workers made up fewer than 55 percent of the employees who were laid off. Department spokesman Larry Behrens said Lewis wasn't singled out. He said she worked in a division that lost its funding entirely.